I used to work in a place called "The Pit." I wasn't serving ribs and pulled pork at a barbecue joint that wandered north into New England. I was actually with one of the large mini-computer companies they used to populate the ring between Route 128 and Route 495 around Boston. The company put all of us marketing types into the far end of the building into a cube-filled area that was a 1/2 level below grade. I walked down 8 steps to get there, and the windows looked out directly into mulch and tulip stems. Before it was occupied by the mini-computer maker, the building housed a brewery; I suspect "The Pit" was the loading dock. Not only were we half-underground, but we were isolated from other departments. Sales was on a different floor. Customer support was in a different building. Product development was in a different town. Isolating marketing from the rest of the organization surely didn't help the prospects for the mini-computer company. (They disappeared years ago, and the building is now occupied by a medical device manufacturer.) But that kind of organizational separation would be especially bad for a software-as-a-service (SaaS) company. The need for a close connection between marketing and sales is critical to cost-effective customer acquisition. This will likely be a SaaS company's largest single on-going expense and efficiently converting leads into opportunities into wins is essential to success. That requires close coordination between marketing and sales. But there are other necessary connections beyond the obvious one between marketing and sales. SaaS companies typically enhance their solutions more frequently than on-premise solutions, so a closer relationship is needed between product development and marketing. Marketing needs to know what's coming through the pipeline. For one thing, that helps them handle the accelerated product introduction calendar. But it also lets marketing share the product roadmap as part of the effort to win the trust of prospective customers. And there are groups besides marketing that need to be tightly wound into this web. The SaaS model works better when the product development group is well-connected to the customer support group. They'll have a better understanding of customer needs and can respond more quickly and accurately with product enhancements. It's one of the key benefits for companies moving from on-premise to a SaaS subscription model. The sales group would do well to be closely connected to the legal department. Under the SaaS subscription model, sales delayed through protracted contract negotiations amount to lost revenues. Sales executives should clearly understand the standard contract and know which items are negotiable and which aren't. I could draw out other connections across different departments, but you get the point. 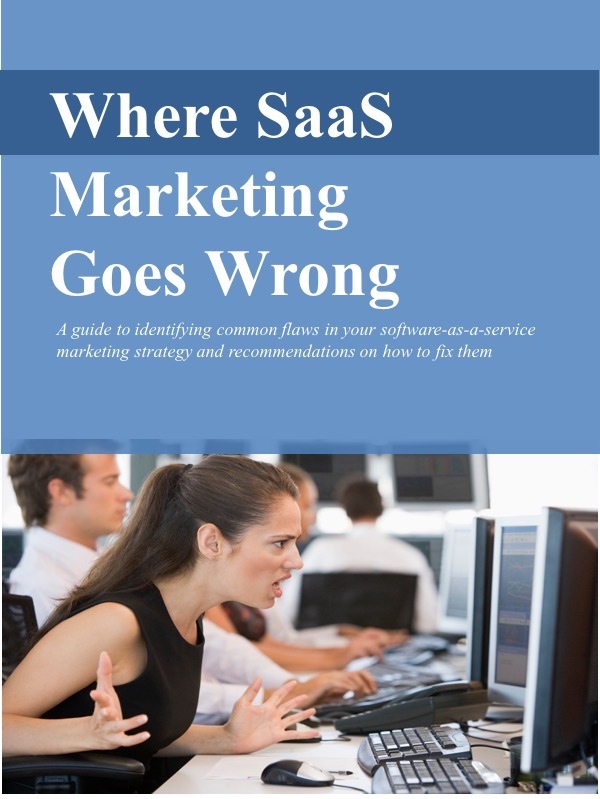 Successful SaaS companies requires close coordination across the entire organization. Isolating groups from one another is a bad idea, especially if you shove one of them into "The Pit."